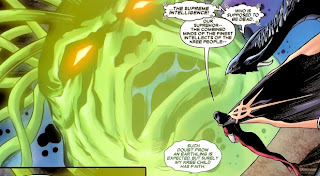 The Kree Supreme Intelligence is a Marvel character. 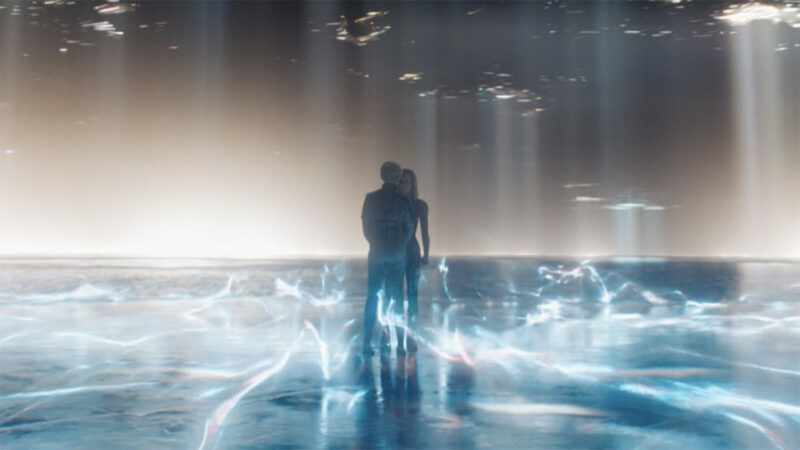 The Supreme Intelligence is an artificially constructed mind made up of supercomputers and a collection of best minds of the Kree empire. It initially was created as a tool to be used by Kree leaders but eventually usurped control of the empire for itself. 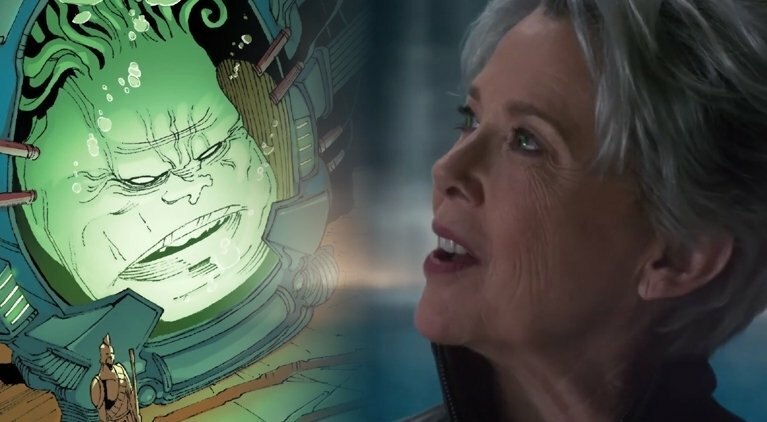 Annette Benning is said to play a version of the Supreme Intelligence in the film Captain Marvel. She will serve as a mentor and leader of the Kree Star Force and of Captain Marvel. Toylab holds the fervent belief that there are not enough Marvel alien figures so we are thrilled to have see new ones coming out on Amazon to go along with the Captain Marvel film. The Kree began to pursue the creation of a Cosmic Cube device. The Kree's longtime enemy the Skrulls had a Cosmic Cube which they had used to unleash massive amounts of power. In order to create a Cosmic Cube the Kree set about creating a vast and powerful mind. The began collecting brains of their best dead scientists, leaders, and philosophers and networking them in a vast super computer. This super computer they called the Supreme Intelligence. Eventually, the Supreme Intelligence eventually gained a will of its own and outright refused to pursue the creation of the Cosmic Cube. The Cube had been too powerful for the Skrulls and had ended up destroying massive parts of their empire. The Kree leadership did not shut down the Supreme Intelligence for this act of rebellion but instead let it continue to operate. The leadership would consult the Intelligence on matters when necessary. Overtime the influence of the Supreme Intelligence grew. It was consulted more and more until eventually it outright usurped the governmental powers of the Kree empire. The Supreme Intelligence has a massive, and fanatical following amongst the Kree populace. At times Kree leaders or other alien empires have wrested control away from the Supreme Intelligence but it has generally maintained its over the empire. The Supreme Intelligence realizes that the Kree species have a hit an evolutionary dead end and much of its focus becomes integrating dynamic alien genes into the Kree genome or other ways of jump starting the Kree evolutionary process. It is through this focus that the Kree began to explore Earth and have contact with its heroes. Initial, contact with humans first occurred when the Kree experimented on them to create Inhumans. When the Inhumans rebelled the Kree gave up on the project. Later, the Supreme Intelligence sent Ronan to kill the Fantastic Four who it deemed a threat. Through its study of the Fantastic Four and of Rick Jones it learned that the human race had great evolutionary potential called the Destiny Force. For this reason various Kree agents have been sent to Earth such as Mar-Vell and Doctor Minerva. During Operation Galactic Storm the Supreme Intelligence released a massive weapon upon its own people called the Nega-bomb The Nega-Bomb wiped out around 70% of the Kree Empire but the Intelligence hoped it what jump start the evolutionary process. The Avengers themselves took note of the devastation and sought to eliminate the mind for its crime of genocide. The Supreme Intelligence would spend time as a prisoner, and time deposed when the Shi'ar took control of the empire. However, the Intelligence plotted its way back into control using its android self known as Supremor as a mole. In the story Infinity, the Supreme Intelligence along with Ronan were shown as the representatives of the Kree empire on the galactic council. 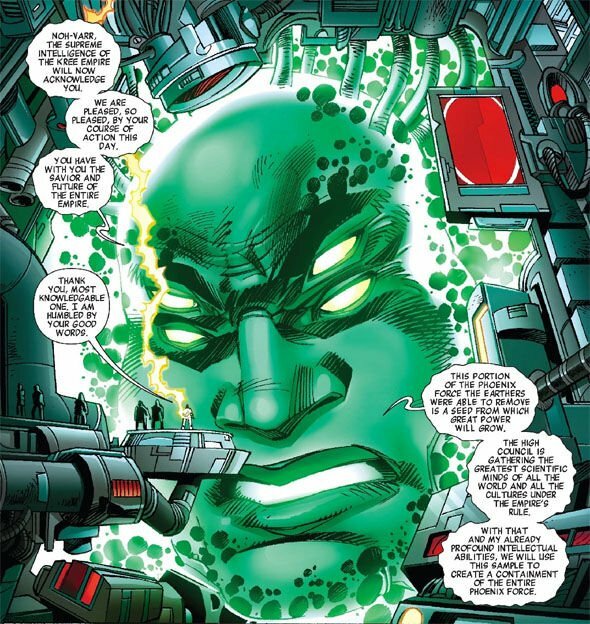 Being made up of a vast cybernetic computer and a collection of the greatest Kree minds the Supreme Intelligence is hyper intelligent with more brain power than that collectively on Earth. The Supreme Intelligence also can create android that are connected to it that are called Supremor. There have been 3 of these serving androids shown operating at once. 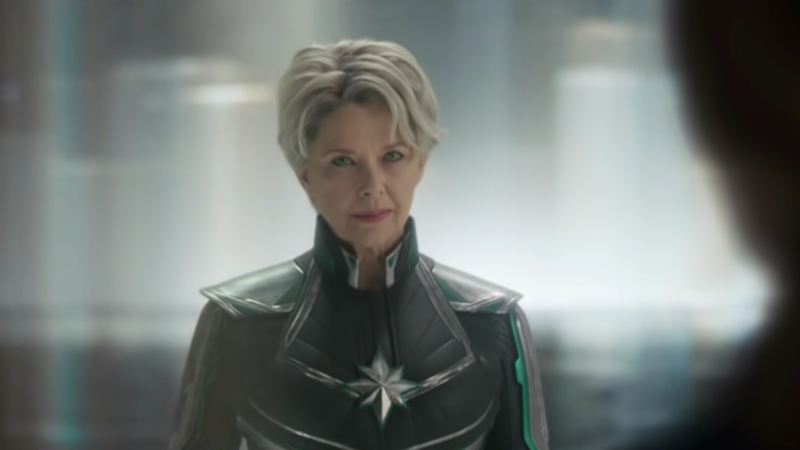 Annette Benning is said to play a version of the Supreme Intelligence in the film Captain Marvel. She will serve as a mentor and leader of the Kree Star Force and of Captain Marvel. It is not known whether the Supremor will also be mentioned as Supremor was more like the avatar of the Supreme Intelligence. The Kree Supreme Intelligence is suggested to be behind some of the powers and origins of the MCU version of Captain Marvel. 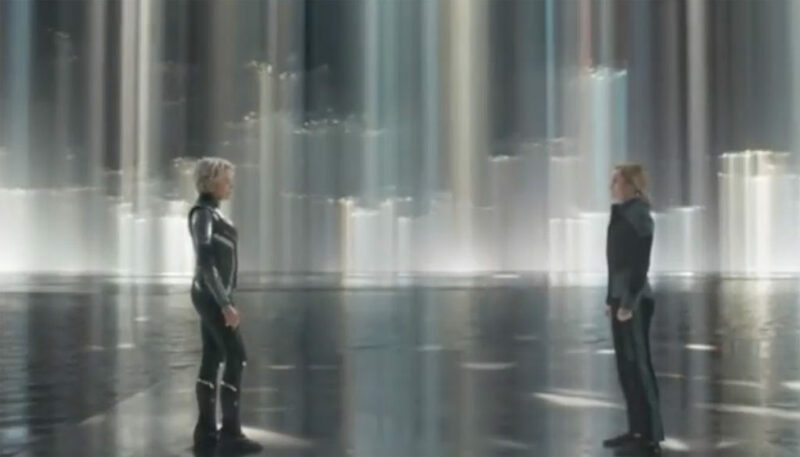 Some of the background around Annette Benning's seen appear to be in a Tron like landscape where their are digital pillars of information suggesting that Carol Danvers may be visiting her inside a computer with an avatar of herself and the Supreme Intelligence meet.